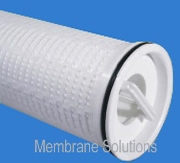 MS® 600 FlowPure-HF cartridge filter is coreless, single open-ended which can be wide used in different applications. 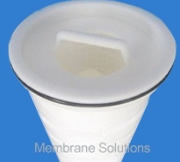 Large diameter and large filter area thus reduce use quantity and filter size. Certainly the inside to outside flow allows for excellent dirt hold capacity, extending the time between filter change-outs.